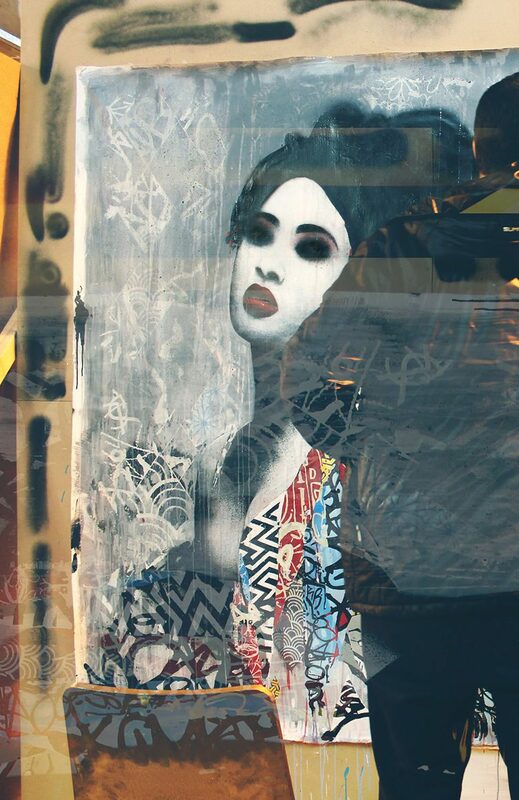 Tagging has a pretty unsavoury reputation – an act of vandalism or aggression performed furtively under the cover of darkness by urban hoodrats. 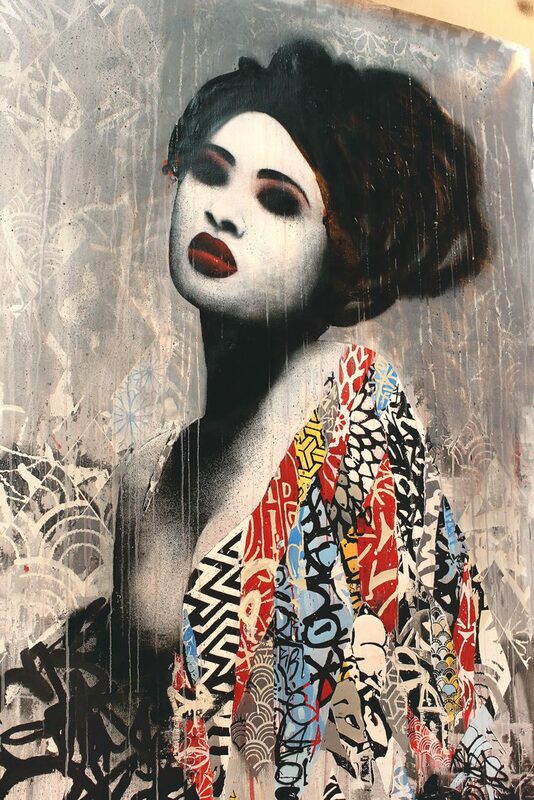 Street artist Hush is presenting the maligned activity in a new light with his collection Unseen, using his sophisticated tagging to distort, yet beautify, a selection of female portraits. 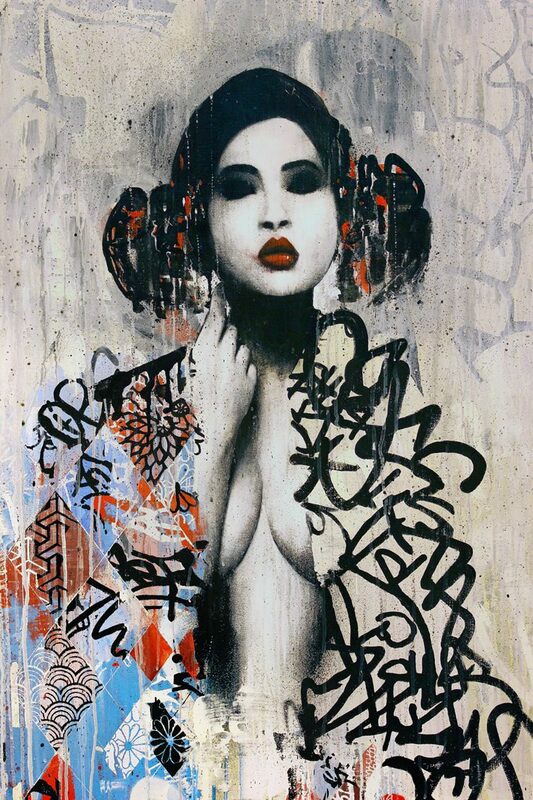 “I look to take something like tagging that is generally seen as aggressive, ugly and masculine out of context and present it to the viewer as something beautiful,” says the Brit, who is exhibiting Unseen stateside at Corey Helford Gallery, Culver City. 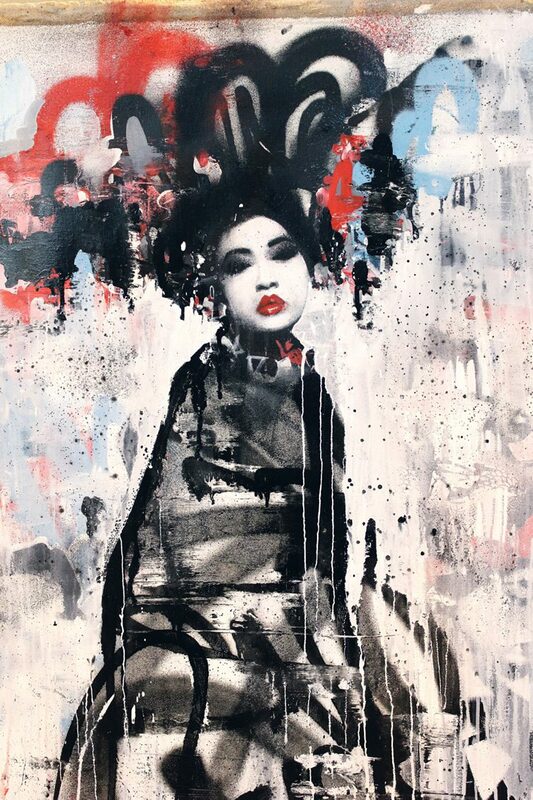 By first obscuring the eyes of the monochrome subjects, who have appeared in previous works such as last year’s Sirens series, Hush breaks the immediate connection of the women with the viewer, which he then reconstructs with layers of figurative decoration. 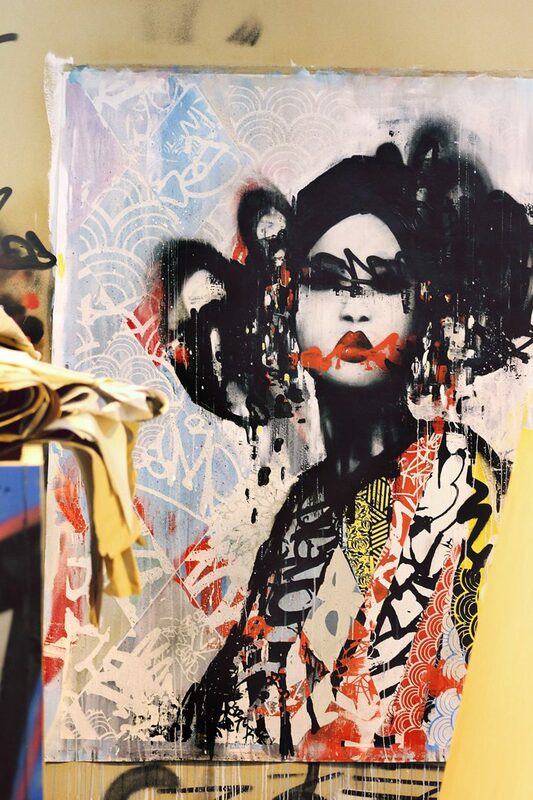 In the central image Unseen I (above), Hush has used a variety of media, including spray, screen and acrylic paints, canvas and linen, to create his multi-layered effect. See the Unseen from 18th May – 15th June.